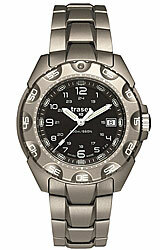 The all new TRASER P6600 Type 6 Elite Red is one of the very first military grade watches with RED Tritium Illumination. 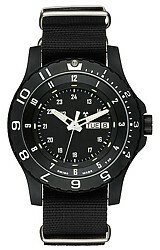 Built to surpass the established requirements of a MIL-F_SPEC Watch. 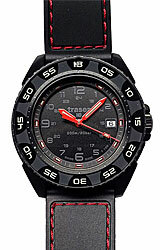 The P6600 is highly stable and shock resistant, with the same greatly improved water resistance of the Type 6 MIL-G.
What makes the new P6600 Elite Red so very different from all other military grade watches is the unique Red Tritium Illumination. Red tritium is slightly less bright than the green or blue Trigalights. 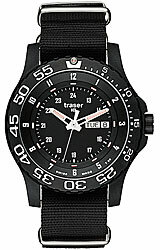 The red tritium illumination allows for visibility only within a close range of the wearer in very low light tactical situations and is ideal to avoid detection in the field.